recommended for: Fans of Please Don't Tell by Laura Tims, My Heart and Other Black Holes by Jasmine Warga, and other dark high school books with a thriller edge. I had a lot of hope for this book, not least because of its timely and harrowing subject matter. 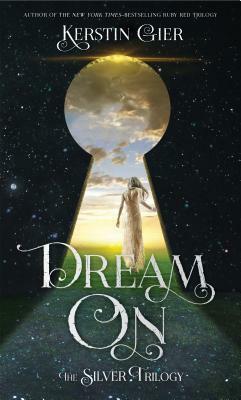 I think these hopes, in the end, were the driving factor in why this book was simply "alright" for me. I wanted it to do so much more, be so much more than it was. I wanted something dark and groundbreaking, something that would give me chills. Something that would delve incisively and poignantly to the issue. What I got instead wasn't bad. It just wasn't everything I'd dreamt. 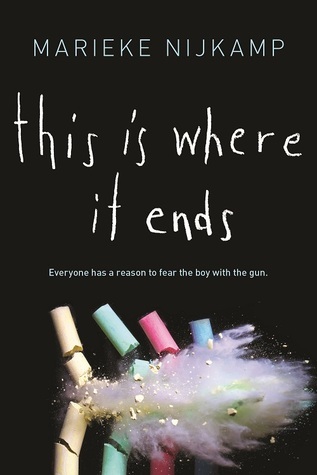 This is Where it Ends is the story of four teenagers experiencing a school shooting in real time. The novel switches perspectives as it ticks down the situation, minute by minute, from the first murmurings of uneasiness to the brutal conclusion. The timestamps create a feeling of claustrophobic tension for the reader, trapped in those minutes, those brief snapshots of emotion and movement. The format is definitely this novel's strength. What it lacks is something more. It's a solidly written account of a terrifying event--and that's about it. It could be talking about any situation, really. The shooter himself, whose psyche and choices are so important to this experience, are familiar from any Dateline special. There's nothing new there. Nothing deeper than the usual newspaper-level tropes. A cardboard cutout of a monster. I could have forgiven that, but the four point-of-view characters aren't much better. Perhaps because of the book's brevity, the quickness of the jumps, I was never in anyone's head long enough to feel connected to them. I felt for them as people in a terrible situation, but again with the same undifferentiated empathy I'd experience while reading a news write-up. The clincher, perhaps, was the plot. It was too close to a stab at a thriller to make me comfortable. Too much like the caricature of someone's real horror. Two teens' attempts at escape, at reasoning with the gunman. Two other teens trying to sneak into school to help their trapped friends. Not only was it rather ludicrous, but it felt disrespectful somehow. Sensationalized. I know that there are real stories about people acting heroically in these situations, but something about the presentation rubbed me the wrong way. All in all, this was an unremarkable read for me. The writing was decent but without any particular poetry to it, the plotting was simplistic, and the whole concept was fleshed out incompletely, giving the whole thing a skeletal, superficial feel. Better books have covered the same material with more precision, less focus on tropes and thus less of a cookie-cutter feel. The author is lovely and I hope she gains her stride in her next book, but this one slipped through me without leaving a mark. This is Where It Ends is a solid but unremarkable read. The concept is good, the minute-by-minute playback interesting, but ultimately it's too superficial and surface-level to get its point across. will i read this author again? I think I will. She has a solid foundation and seems sweet. Completely agree with your review. The book had the events and action, but lacked any actual substance. While pacing is good, there wasn't enough meaningful content to back it up. I haven't read this but I have heard very similar things as to what you've listed here! I do have a copy of this book, but honestly I've never been a fan of books about school shootings (mostly due to secondhand guilt, not that I know how that will work out here).